You have several Value Added services available through your coverages with OneAmerica. The loss of a loved one is never easy. Not only will your dependents suffer emotionally, they may be forced to deal with complex financial and legal issues as well. 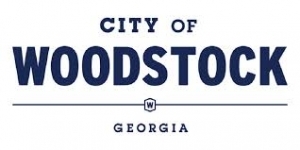 Fortunately, the City of Woodstock and OneAmerica understand the unique issues that often result from a loved one’s death. We offer Beneficiary Resource Services as a value-added service with your group life coverage. This grief, legal and financial counseling service offers valuable assistance for you or your beneficiary. How can you have peace of mind that in the event of your death, your property will be distributed according to your wishes? Or your children will be cared for by those you choose? The answer is by having a will. Online Will Prep is a value-added service provided with your life insurance coverage from OneAmerica. This service provides you the ability to simply and quickly create a standard will that may meet your needs and is valid in all states – free of charge. OneAmerica Employee Assistance Plan– When personal problems arise, many choose to cope alone, resulting in negative consequences at home and the workplace. This is why the City of Woodstock and OneAmerica have teamed with ComPsych Corporation to offer employees covered by our long-term disability program an easy and convenient way to find the help they need. Whether it’s an emotional, legal or financial issue, Disability Resource Services provides the resources for support and solutions.